In 2005 I have made first edition of actual renking of world auctions. In 2015 I prepared new series with new renking artworks citations. 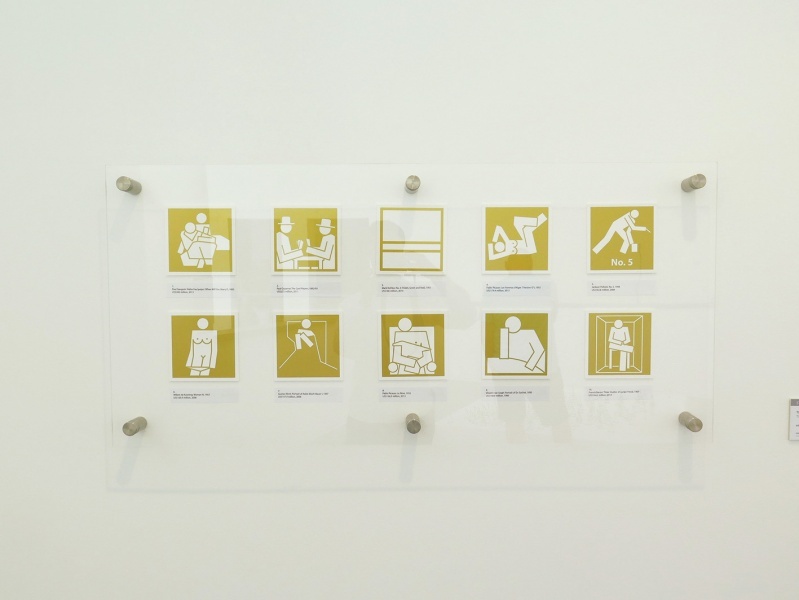 This series was made of two groups of pictograms: First ten ranking linking pieces were exposed under the glass and other twenty pieces were "storraged" next to the exposed in the shelf.